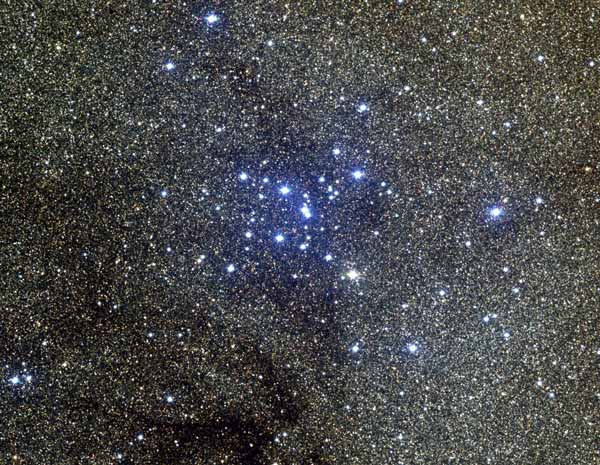 Massive star formation often occurs in groups – such as the open cluster M7. Studying the distribution of massive stars and how they form is complicated because most of their energy is emitted at far-ultraviolet wavelengths that are not accessible from Earth, and they have short main sequence lifetimes; stars greater than 40 solar masses may not even finish their assembly until after fusing a significant portion of their core hydrogen, so a zero-age main sequence stage may not even exist for the most massive stars. Massive stars are low in number but make a large contribution to the properties of galaxies. They are fundamental to the production of the heavy elements and to the energy balance in the interstellar medium. Massive stars regulate the rate of star formation on large scales through feedback via intense winds, radiation and, finally, through supernova explosions. Most stars form in the neighborhood of a massive star, so they influence the rate of low-mass star formation. Star formation will stop after a relatively small number of stars have formed within a star formation region. That's because the stellar nursery is radiated away by some of the newly formed stars. The hottest of these stars heat the surrounding molecular gas, break up its molecules, and drive the gas away. When the temperature exceeds about 1900 K, the gas molecules break down into atoms, gas and dust clears, the previously hidden young stars become visible, and the molecular cloud and its star-forming capability cease to exist. So, ironically, the same climate that is conducive to star formation also may shut off the star formation process. The Eagle Nebula region above contains beautiful and intricately shaped areas carved out by the radiation from hot young massive stars. 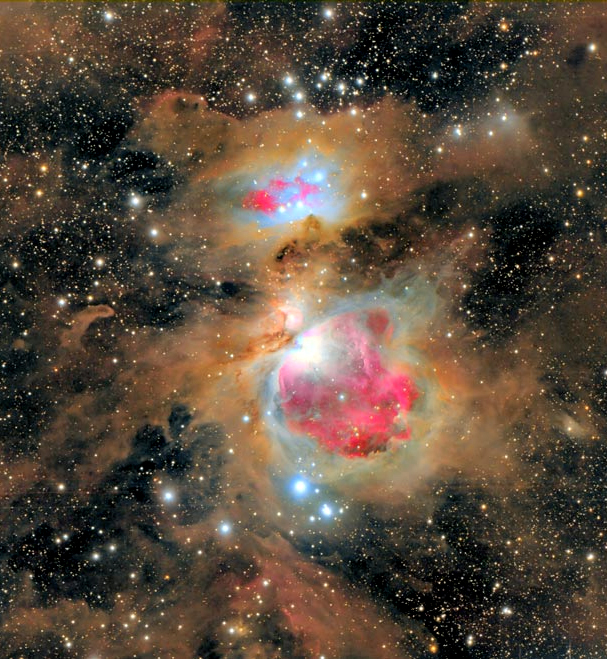 The Orion Nebula (M42) is ~1500 LY away, and the closest stellar nursery. The Orion Nebula is an emission nebula, excited by a few young hot luminous stars in its center, called the Trapezium. The trapezium stars are ~2,000,000 years old. The entire Orion complex, which includes the Orion Nebula, the trapezium, and the Horsehead nebula, will slowly disperse over the next ~100,000 years. Eventually this area will resemble the Pleiades – an open cluster of young, hot stars that formed together, produced intense ultraviolet radiation that blew away the gas clouds surrounding them, and slowly drifted apart over time.